July was 1981 in the Year a Month project, but I was so busy listening to Daemon and FreedomTM on the way back and forth to work that I decided to let it slip to August. Accept: Breaker - I had heard of Accept, and certainly heard their 80s hit Balls to the Wall, but didn't really know much about them. Then MJ posted a comment on June's blog entry suggesting I take a look at them. I did, and I like what I hear so far. The vocals are a little on the screechy side, but I'll take screechy heavy metal vocals over the growly nonsense that seems to have infested the genre lately. I really like the guitar work, which sounds a little like a cross between Judas Priest and a 1980s version of Godsmack (or maybe I should say that Godsmack's guitars sound a little like Accept). 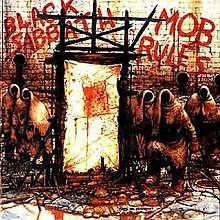 Black Sabbath: Mob Rules - This is my 10th Sabbath album, and the second album with Dio at the microphone. He also wrote all the lyrics, and like the other members of the band, participated in the writing of the music. The graveyard sound of their first album is completely replaced by an almost groove-metal feel. I like them both, and I'm impressed that this band can change so much and yet sound so good. 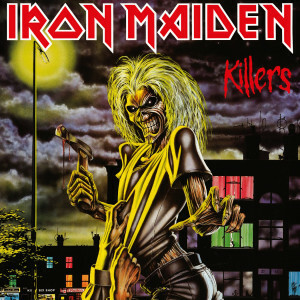 Iron Maiden: Killers - I'm continuing to really dig Iron Maiden. This their second album seems a little faster than their first, but otherwise pretty similar. MJ says when Bruce Dickinson joins next year, "they become a whole new band." I'm sure he meant that as a compliment, which makes me excited to hear the changes next month. Judas Priest: Point of Entry - Judas Priest's 1980 album, British Steel, is a tough act to follow, but yet they managed to pull it off this year. The guitars are slightly more distorted, and Halford's voice is slightly rougher, and the result is a tougher, more methodical style that really works. 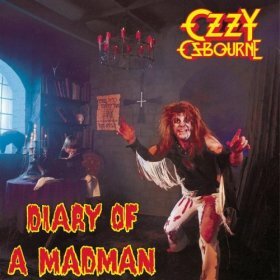 Ozzy Osbourne: Diary of a Madman - Listening to Ozzy belt out these songs, you would never guess he'd been kicked out of Black Sabbath for his drug problems. This album really takes me back, because I remember all the controversy surrounding the "bat incident" during the concert tour to promote this album. For you Ozzy purists out there, never fear: I was careful to get the "Legacy" version, which puts the original bass and drum tracks back in where they belong. 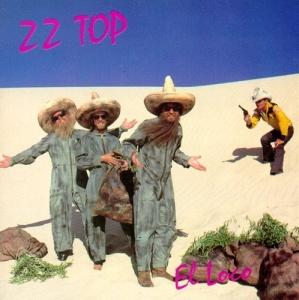 ZZ Top: El Loco - ZZ Top continues to be right on my too-bluesy threshold, but they never fail to entertain anyway. This one has Tube Snake Boogie on it - need I say more? I decided to retire Rainbow this month. Down to Earth was the first album after Ronnie James Dio's departure, and it retained a lot of the same Dio sound that I enjoyed in the first 3 albums. But I listened to some samples of Difficult to Cure and decided that Rainbow's style had diverged too far from my tastes. I also decided to finally give up on The Who. I took a multi-year break from them after slogging through The Who By Numbers, and chose 1981 (Face Dances) as the year I would revisit the band and see how things sounded. No dice. The Who, for me, remains a band of singles and greatest hits albums.